﻿ Mr. Water Panton (1848 -1931), architect, Timaru. He left his mark. Mr. Water Panton (1848 -1931), architect, Timaru & Son. They left their mark. Walter PANTON was an architect especially in the construction of freezing works and lived in Timaru. 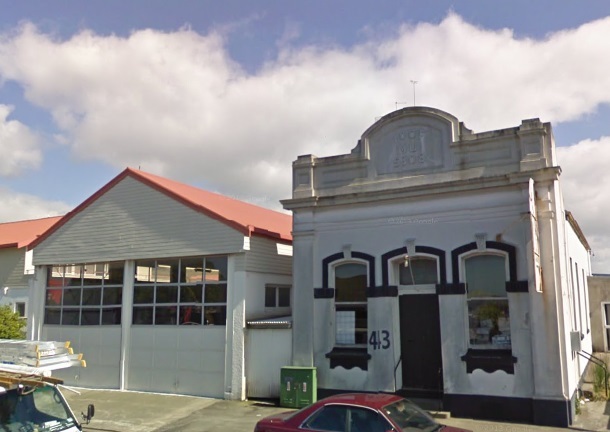 The firm Walter Panton and Son office was in the "Panton's Buildings", Beswick Street, Timaru consisted of two offices and a Strong Room. Walter died aged 83 in 1931. He purchased a house in Timaru in 1905. 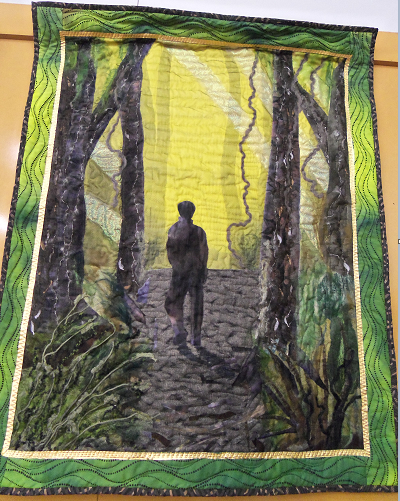 His work is seen on many corners around Timaru, look down at the cornerstones. Here is another, the older part of the Council Chambers, originally the Public Library, was designed by Walter Panton and officially opened in 1909. From 1906 to 1920 there are 333 tenders advertised in the Timaru Herald from Walter Panton & Son. They not only planned commercial buildings but drew up plans for residences in Church St, Dee St, Wai-iti Rd and Fairlie and for the Rhodes family and many other families. Over the decade firms and families appear loyal to the architect firm. Cornerstone: a stone representing the nominal starting place in the construction of a monumental building, usually carved with the date and laid with appropriate ceremonies. Foundation stone: a stone laid at a ceremony to mark the foundation of a new building. Often time capsules are found behind these stones. Erection of substantial and artistic business premises, an indication of productivity of the district. TO BUILDERS. TENDERS are invited up till Noon of SATURDAY, 12th MAY, for the Erection of GAIN STORE and OFFICES, for Messrs Guinness and LeCren, Timaru. Plans, etc., at my office. WALTER PANTON, Architect. Timaru Herald, 16 January 1907, Page 6 ENLARGEMENT OF THE EMPIRE. Some months ago there was a popular outcry concerning the inadequacy of the accommodation for visitors to Timaru, and an attempt made to raise funds to erect a- new 50-bed hotel. This movement failed, and the outcry that had been satisfied by it, was not renewed. In a quiet way, with out any nourish of trumpets, Mr T. J. Burns, proprietor of the Empire Hotel, has made a valuable effort to satisfy the need for additional hotel accommodation. From designs furnished by Mr Walter Panton, and carried out by capable tradesmen, Mr Burns has recently been enabled to bring into use a large and handsome new wing to his hotel, adding to its capacity 31 new rooms, of which 23 are bedrooms, several of these double-bedrooms. The new -wing stretches up Church Street, making the whole length of frontage on that street about 2½ chains. The original Empire building is of two stories; the new portion is three stories high, the general height of the parapet 47ft above the footpath, some ornaments standing, above that height. The lower storey a divided into five shops of equal dimensions, and a cart passage to the rear. The front of this story is mainly of plate glass and iron columns, with brick piers making the ends of the partition walls. The second story is plain Doric, the upper is simple Corinthian in style. There is no waste on ornament, but the whole has a pleasing appearance. An unusually strong the escape balcony runs along beneath the window, of the two upper stories, with cast iron grid, floor and iron pipe; railing supported on railway metals built solidly though the wall, and therefore capable of carrying a big weight. A curved iron and glass verandah is in course of erection over the shop fronts, which will give a good finish to the street front. The promise of the exterior is well kept in the interior.... The architect, as already mentioned, was Mr. Walter Panton,- Messrs Humt and Werry were the builders, with sub-contractors, Air Hollow, for woodwork, Mr Berry for plastering, Mr Edwards for painting, Mr Craigie for plumbing, Mr Trengrove for ironwork (fire escape and verandah), the D.I.C, Mr Beckingham, Ballantyne and Co., and others, for furniture. Yesterday afternoon the foundation stone was laid of the chancel, transept, vestries, and tower in completion of St. Mary's Church, and the ceremony attracted not only members of the congregation, but also many others, townspeople generally taking an interest in the work whether members of the congregation or not. The weather was not quite all that could have been desired, as a warm nor wester was raising the dust off the streets before the hour used for the ceremony, and during the proceedings the sun became obscured and the wind cold. Nevertheless it was a fine afternoon for midwinter, and a large number of people assembled on Sophia street, where they had a clear view of the proceedings, and some spaces upon and about the foundations were fully occupied.... Midway in the service the Yen. Archdeacon Harper, vicar of the parish, laid the foundation stone, a well dressed block weighing about half a ton, and destined to be the lower block of the north-eastern corner buttress. A cavity, had been formed in the base-course, and in this was placed a large glass-stoppered jar, coated with paraffin wax, containing the following articles:— (l) Parchment document certifying the fact of the laying of the foundation stone, with the names of the Vicar of the parish, the curate, the churchwardens and vestrymen, the building committee, the clerk of the vestry, the organist, and choirmaster -the verger, the architects, the builder and contractor, and the resident superintending architect. (2) Current coin of the realm, from a sovereign to a farthing, dates 1903-1907. (3) Prayer-book, with hymns, 1907. (4) St. Mary's Young Men's Society membership card. (5) St. Prisca's Guild membership card. (6) Copies of the "Timaru Herald" and the "Post." (7) Names of St. Mary's choir. (8) 1st of services in St. Mary's Church. Sunday, July 14th, 1907. (9) Form of service for laying the foundation stone. Mr Panton, superintendent architect, placed the bottle in the cavity and spread the mortar for bedding the stone, and Mr McBride, the builder, presented to the Archdeacon a silver trowel and boxwood mason's mallet, offering these instruments of labour with the wish that the Archdeacon might be spared for many years to labour in the completed building. The trowel bears the following inscription "Presented to the Ven. Archdeacon Harper, M.A., on the occasion of his laying the corner stone of the chancel, transept, vestry, and tower of St. Mary's Church. Timaru, N.Z. July 14th, 1907. Collins and Harman, architects, S. McBride, contractor." Mr McBride and his assistants lowered the block from a tripod, the Archdeacon declared it well and truly laid, and then read a copy of the document enveloped in the bottle as follows: Diocese of Christchurch, New Zealand: Church of St. Mary. Timaru; July 14th. 1907. In the name of the most high God, and in the faith of the Father, and of the Son, and of the Holy Ghost, this stone, being the corner stone of the chancel, transept, vestries, and tower, in completion of the church, is laid by the Venerable Archdeacon Harper. M.A., vicar of the parish of Timaru. in the presence of the Right Reverend Churchill Julius, D.D.. Bishop of Christchurch. Other foundation can no man lay than that is .laid, which is Jesus Christ. Henry W. Harper, M.A., vicar of the parish of Timaru, Archdeacon of Timaru and Westland, N.Z., Canon of Christchurch Cathedral; Tremayne M. Curnow, M.A., curate; church wardens, Charles Allen Wray, Charles Howard Tripp; vestrymen, James Shepherd, Thomas H. Gillman, William H. Williams, Henry B. Kirk, Francis T. Mayo, Douglas D. Dryden, Miles J. Knubley, Gladstone Robinson, Robert Morgan, Henry H. Webb; building committee, John P. Newman, Arthur Shirtcliffe, Gordon P. Wood, Frank Palliser, William, J. Black, David C. Turnbull, Thomas Thomson, Charlton S. Fraser, John Hole, Henry Newland, William Priest, Robert W. Simpson; vestry clerk, J. E. S. Jackson; organist and choirmaster, Herbert Louis James Webb; verger, John Rainsley Jones; architects, Messrs Armson, Collins and Harman, Christchurch builder and contractor, Samuel McBride, Timaru; resident superintendent architect, Walter Panton, Timaru. Other hymns were then sung while members of the St. Mary's Young Men's Society passed through the crowd with collection bags, and brought their gatherings and placed them on the stone. Further special prayers, for the workmen and for the people of the parish, and the Benediction, concluded the ceremony. Lodge I.O.O. F., M.U., 5308, will meet for the first time in the new lodge-room Woollcombe street, this evening. The Oddfellows, finding the old rooms in Barnard street totally inadequate for their growing requirements decided some time ago to build larger and more convenient premises, and Mr Walter Panton, architect, was commissioned to prepare plans for the same. Messrs F. Palliser and Sons secured the contract for the job, and they and Mr Panton have between them produced a very nice hall, which, though not large, is neat and handsome, and likely to serve the requirements of the. lodge for some years to come. The building, which is of brick, plastered over, contains a hall 30ft 3in x 22ft, two ante-rooms of 14 x l5½ and 14 x 8 and a vestibule. The height of the walls is sixteen feet. The interior is all plastered, the ceiling being of pulp plaster and round the walls runs a dado 4½ feet high, making the rooms look very neat and cosy. Ventilation and lighting have not been neglected, two large lamps in the hall and one in each ante-room serving for the latter purpose, while two large ventilators in the roof ensure a constant supply of fresh air. In the hall, also, are two fire-places, so that the Oddfellows of Timaru -have now a lodge-room which can compare favourably with any of its size in New Zealand. I.O.O.F 5308 Woollcombe St. 2009. Aug. 1908 new premises for N.Z. Express Company in Barnard Street. The architect was Mr Walter Panton, Mr T. Pringle was the contractor, Mr W. Wilson plastering, Mr Craigie the painting and plumbing, Mr Storrier the ironwork, and Mr Pringle is supplying the fittings. The whole building does credit to the company and all concerned, and Mr Ensom, the Timaru manager, should be proud of it. The first customer to occupy a sample room upstairs is Mr G. Freeman, representing Messrs Macdonald, G_uair and Co., of Christchurch, soft goods. Mr Walter Panton as architect for the public library, forwarded a tender for switchboards, metre panel and subswitches for the library. He advised that this he accepted.—Agreed to. Timaru Herald, 27 February 1909, Page 6 TOWN IMPROVEMENTS. It is a good sign of the commercial prosperity of a town when its business people show their confidence in a practical way by erecting larger and more up-to-date premises. Mr Hutchison at any rate has confidence enough in Timaru to have gone to the expense of building in High street, what is probably one of the finest bake-houses of its size in the Dominion, and he deserves the greatest credit for his enterprise in the matter. The building, which is of brick, was, designed by Mr Walter Panton, and it seems eminently suited for the purpose for which it is intended. The greatest attention has been paid to light and ventilation and also to the appliances necessary to ensure correct sanitation. The size of the bake-house is 50ft. x 30ft., and at the southern end is a store-room 17ft x 10 ft. and a cool store for butter and eggs, 10ft. 6in. x 6ft. 6in. Over these storerooms is a loft for the storage of Hour and materials, access to which is gained by a substantial stairway. On the eastern side the huge oven 12ft. x 10ft. Gin. is situated, which is large enough to accommodate a batch of about 300 loaves at a time. This oven will be lighted in the interior with electricity which will enable the baker to inspect the condition of the bread without opening the over-door. There has also been space left to instal another oven, should it be found necessary to do so. The oven- is one of Hulme and Thomson's patent, for which Messrs Booth, Macdonald and Co. are the local agents, and a hot water service is connected with it for use in the bakehouse. The height of the building- is 13ft. Gin. to the wall plates, and the roof is what is termed an open one, matchlined throughout to prevent accumulation of dust. Twelve inlet ventilators are placed in the building, with torpedo ventilators on the roof ridge and louvred gables, so that a constant current of air is kept circulating throughout- the building. Mr Hutchison will start a four-wheeled van on Monday to distribute the bread and more vehicles will be added as the volume of trade increases. It-is possible that biscuit baking will also form a part of the business done in the bakehouse in the future. Mr Hutchison extends a cordial invitation to the public to inspect the new premises on any afternoon. The proprietor of the bakehouse has had an extensive experience in the business both in England and the colonies, and there is no doubt that his enterprise will meet with the success it deserves. TPENDERS are invited up till Noon SATURDAY 23rd October, for the Erection of HOUSE, STABLES, etc., at Gordon's Valley; also tor the Erection of STABLES, etc. at Bluecliffs, for R. Rhodes. Esq. (Labour only). Plans, etc., at our Office. WALTER PANTON & SON. Architects. The older part of the Council Chambers, originally the Public Library, was designed by Walter Panton and officially opened in 1909. 1909 - 4th June - Official opening of the Timaru Public Library on the present Timaru District Council site on George Street, it was built in Oamaru Stone. The Library was built with a 3,000 pound grant from the Carnegie Corporation (Andrew Carnegie) of New York and was designed by Walter Panton. The condition under which the money was given was that the reading rooms should be open to everyone and that the lending library should be free to ratepayers of the Borough. The Borough Council, however, considered that everyone who paid rent was indirectly a ratepayer, and it was decided the Library should be free to both rent payers and ratepayers. The Timaru Library is believed to be the first in the Dominion for which this concession was made. 1911 the Borough Municipal offices. 1910 Timaru Bowling Club Pavillion off Sarah St. built of brick and rough cast and looks like a private residence. TO BUILDERS, TENDERS are invited up till Noon, Tuesday, 28th February, for the Erection of Residence, in Wai-iti Road. Plans, etc., at our Office. WALTER PANTON AND SON, Architects. 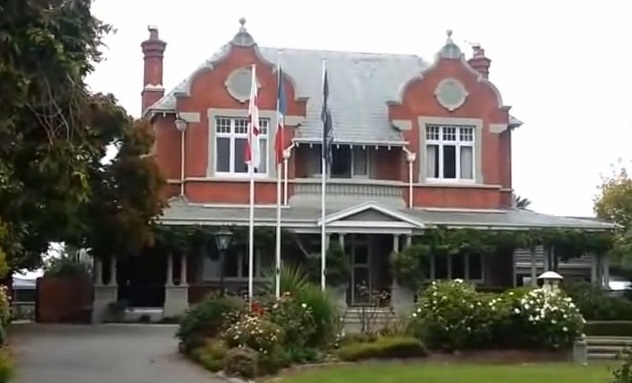 Tighnafeile House at 62 Wai-iti Rd, Timaru was built in 1911 - 1912 for Mr and Mrs John Matheson and their six children. The house was designed by Timaru architect Walter Panton and was built by John Pringle. The Matheson's named the house 'Tighnafeile' (pronounced Tyne-a-faylee) which is Gaelic for "House of Welcome". Look at the chimney pots. TO BUILDERS. Tenders are invited to till Noon, Wednesday 30th August, for Erection of Cottage at Blueclilfs, for R.H. Rhodes. etc-, at our Office. WALTER PANTON AND SON, Architects. TO BUILDERS. TENDERS are invited up till Noon. WEDNESDAY, 20th November, for the erection of a residence at Craighead. Plans, etc., at our Offices. WALTER PANTON AND SON, Architects. TO BUILDERS. Tenders are invited up till Noon, SATURDAY 8th February, for the Erection of additions to Queen's Hotel, Timaru. Plans, etc., at our offices. WALTER PANTON AND SON. To builders. Tenders invited, up till Noon. THURSDAY. 20th February, for Building New Shop Front, Additions and Alterations to Mr J. W. Souter's Cookham House Bootshop. Stafford Street, Plans and Specifications at our Offices. WALTER PANTON AND SON, Architects. Timaru Herald, 19 March 1913, Page 2 HANDSOME WAREHOUSE. R. WILSON AND COMPANY'S BUILDING. Timaru's rapid expansion, as a residential and business centre, is a popular topic of conversation. One of the outstanding features of the progress made in recent years is the erection of substantial and artistic business premises, which from one point of view are an indication the confidence reposed in the solidity and permanence of the foundation on which the business of Timaru is built up—the productivity of the district. Messrs R. Wilson and Co., the well-known general and spirit merchants, have felt the trend of the general progress in the extension of their business, and are now about to take possession of a fine three-storeyed warehouse and offices, with cellarage, adjoining the modern structure recently built for Messrs John Edmond in Sophia Street. Messrs Wilson and Company's new building has two frontages, one on Sophia Street, the other on Bank Street, the former being 34 feet, and the latter 43 feet, and a depth of 95 feet. The principal facade on Sophia Street has a substantial, and as business premises an appropriate appearance the builders catered well- for local industry, in that the structure is erected chiefly of bricks from the well-known kilns of Mr. B. Kirk, and cement plaster is used for relief. The offices on the ground floor are commodious and nicely finished in picked rimu and every attention has been paid to detail. The spirit room and general stores leave nothing to be desired. Other roomy storage is provided in the second and third storeys, the latter being a single spacious merchandise compartment. A feature of the interior of the building are the facilities it affords in every necessary direction. An electric one-ton lift is a noticeable appliance, and several stairways are conveniently disposed. Electric power is the source of light, and heat, and the 500-ton bond in the basement, is lighted from both stairways with Luxfer Prismatic pavement lights. The entrance vestibule is beautifully tiled, and Australian marble is used to ornament the front steps. Undoubtedly this large warehouse which is estimated to cost £3900 is one well worthy of this enterprising firm, and of Messrs Walter Panton and Son, the architects. The contractors Messrs J.T. Hunt (the builders). W. Hornsley (plasterer), J. Craigie (plumber and painter) and Turnbull and Jones, Ltd (electrical engineers) have each done well their respective and co-operative work in the erection of the building. Sept. 1913 The Drapery world B. B. Grange and Co., Ltd., Grange to get, if possible, the best stand in the town and in selecting the site so long occupied by J. Ballantyne and Co.. it is considered that he made an excellent choice. The buildings were very much out of repair, and the first thing to be done was to modernise the shop. Designed by architects of such experience as Messrs Walter Panton and Son, it is no matter for surprise that the work is ornate and chaste. TO BUILDERS. Tenders are invited up till Noon, SATURDAY, 18th October, for Alterations and Additions to Residence, at Fairlie,. for Robert Leitch, Esq, Plans and Specifications may be seen at our offices, Timaru, and at Mr Leitch's House, Fairlie, WALTER PANTON AND SON, Architects, Timaru. TO BUILDERS. Tenders are invited up till noon, FRIDAY, 31st March, for the Erection of Fire-resisting Petrol Store for Messrs Guinness and LeCren, Limited. Plans and Specifications at our offices. 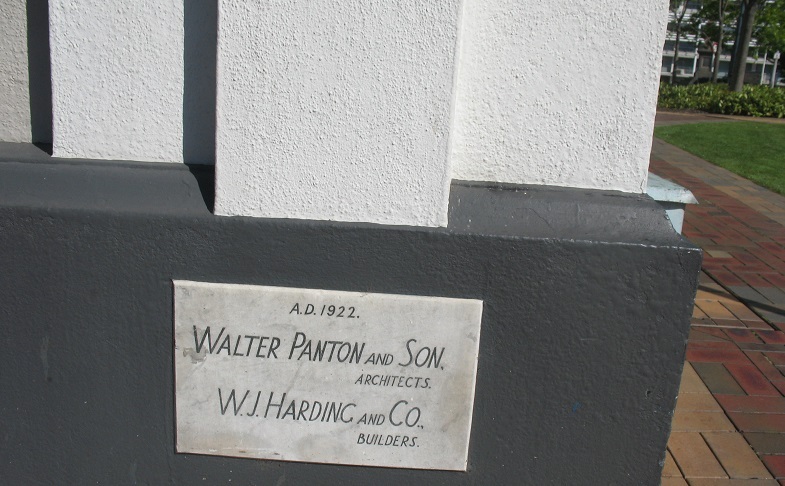 WALTER PANTON AND SON, Registered Architects. ENTERPRISE OF NZ REFRIGERATING COMPANY Imlay Freezing Works. It only remains to say that these splendid modern works were designed by Messrs. Walter Panton and Son, of Timaru, a firm which designed meat works at Ocean Beach, the Bluff, Burnside (Dunedin), Smithfield (Timaru), Pukeuri (Oamaru), Fairfield (Ashburton), Moturoa (New Plymouth), Launceston and Hobart (Tasmania), Belfast (Christchurch), and extensive alterations at Islington, Longburn, Woodville, and Picton. The contractors were Messrs. Hussell and Bignell, of Wanganui, and Mr. H. Dymond was clerk of works. The drainage and plumbing work was carried out by Mr. Chas. Bignell, and Mr. E. J. Ruddick, of Addington, supplied the steel railings for the slaughter-houses (which ran into some £6000). Miss Strachan's millinery establishment in Stafford Street north has just been materially enlarged, and provided, with all the requisites of a modern emporium for the sale of ladies' and children's wearing apparel. The ever expanding business had outgrown the shop, the accommodation in which has just been increased a hundred per cent. Always an attractive place, it now excels in this respect by reason of the fact that it is possible to display its multitude of beautiful goods to advantage. The additions are all on the ground floor, and they make it for the whole up the upstairs portion of the building to be devoted to the purposes of workrooms. Messrs Walter Panton and Son were the architects for the additions, Messrs Cranston and Glue the contractors, and they have remodelled the shop. In a manner begetting its importance to the ladies of South Canterbury. Owing to the curtailment of business during the past month, caused by the influenza epidemic. Miss Strachan is heavily overstocked in sports coats and other out-door summer wear, and she is offering these lines at a special 20 per cent, reduction. Mr Walter Panton and Mr V. H. Panton leave Timaru to-day to join the R.M.S. Moana at Wellington, en route to America and Britain. They expect to be away about six months. Mr Walter Panton and Mr V. Panton returned on Saturday after an eight months trip to England and America. Timaru Town Properties, WINDING-UP SALE. Late Mr D. Mahoney's Estate. FOR ABSOLUTE SALE. BEAUTIFULLY AND SUBSTANTIALLY BUILT 6-ROOMED BUNGALOW, well plastered throughout with every possible convenience, Picture Rails, Linen Press, Wardrobes, Large Bookcase, Kitchen Cupboard and Dresser, Nice Tiled Hearths and Grates and Mantles to suit. Large Bathroom with hot and cold water shower. The house is tastefully ornamented with beautiful leadlight windows. The house was designed and built under the supervision of Mr Panton, architect, which in itself is a guarantee of solidity and faithful construction. The property is nicely set off with grass lawns and ornamental shrubs. The situation is central and handy to all conveniences—anyone looking for a first class home that will be a credit to them should apply promptly. This property is going to sell. Timaru Herald 15 May 1920, Page 14 REMOVAL OF HOUSE AT THE PARK. Will you, please publish, the names of the councillors who voted for and against destroying, this house? Evidently the Council will require to handle any housing scheme which it may undertake, in a more business-like and effective manner than has been done in this case, where, after an expenditure of £l700, they will have only the same amount of accommodation as they had before. The borough collects rates from scores of householders whose properties are in worse condition than was the dwelling at the Park. Surely in fairness the people who have to live in these houses should have their rates remitted. We hope that the £40 worth of secondhand books just purchased by the Council will not be affected with borer, otherwise the Mayor and some of the councillors will next be voting to demolish the Public Library. We are etc., WALTER PANTON AND SON. At a meeting of the provisional directors of the Co-operative Freezing Company of South Canterbury, Ltd., held, on Saturday, it was decided to buy the land offered by Mr Donald Grant, at Washdyke, as a site for the works and holding paddocks. There are 249 acres, and the price paid was £50 per acre. It is all rich, heavy land, and has yielded up to 54 bushels of wheat per acre. There is a comparatively now, cottage on the property, which adjoins the Washdyke Railway Station at the junction of the main and Fairlie lines. The directors appointed Messrs Walter Panton and Sons architects for the works, which are to be erected, and instructed them to prepare plans and specifications at once. TO PAINTERS. TENDERS are invited up till Noon, Saturday. 18th September, for Painting Homestead, Cottages, etc at Bluecliffs, for Trustees of R. H. Rhodes Estate. Plans and Specifications may be seen at our office. WALTER PANTON AND SON, Registered Architects. Tenders are invited to-day by Messrs Walter Panton and Son for the erection of a hangar for the Aviation Company at Washdyke As a result of a competition in designs Panton and Son have been given the work. The balcony is to be of iron, covering a floor space of 82 feet by 77 feet, under a single span curved roof above inclined sides. The clear height to the beams will be 15 feet 6 inches. The building will give ample space to house five aeroplanes, besides an office and a lock-up storeroom. The successful tenderer is to be allowed four weeks to erect the hangar. Now we will return to the eastern side from Church Street. 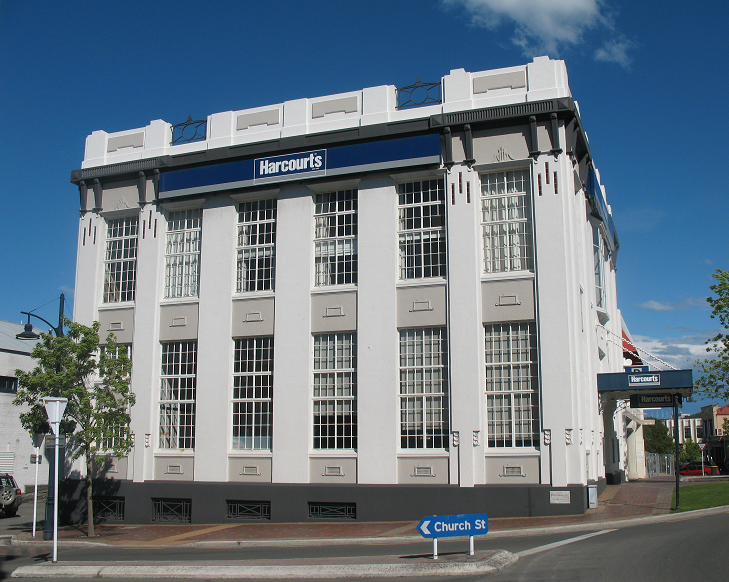 On the corner is the Public Trust building, which was taken over by Harcourts the real estate people, in 2007. Public Trust Office. Yesterday afternoon the new Public Trust building at the corner of Church and Sophia streets was opened to the public, and a large crowd of business men took the opportunity of inspecting the interior. The District Public Trustee (Mr F. E. Duncan) made apology for the absence of the Public Trustee (Mr McDonald) and also read apologies from many others, including the member for Timaru. Mr Duncan then welcomed those who had gathered to look over the building. He gave a short sketch explaining how the idea started, and went into detail regarding the erection of the building. The architects Messrs W. Panton and Son, had, he said, made a very fine job of the plans and specifications, etc., and were to be heartily congratulated on the result. The builder Mr W. J. Harding, had carried out the architects instructions to the letter, and the result was as fine a building as would be found anywhere in New Zealand. Mr F. Hyde spoke on behalf of Messrs Panton and Sons, who, he said, were greatly disappointed at their inability to be present. He thanked the builder for his excellent job, and also made appreciative reference to the clerk of works, who had done his best to make things as easy as possible. Mr Harding also spoke briefly. The Mayor (Mr G. J. Wallace), on behalf of the citizens of Timaru, expressed appreciation of the fine building. It was a credit not only to the Public Trust people but to Timaru. It was quite possible that in the future another couple of storeys would be added. The building is constructed of stone. It is two storeys high and fitted with all the latest devices used in modern commercialism. Portions of the top floor are sub-let to various businesses. Adjoining is an open space which will be beautified and will thus set off the building to its fullest advantage. Press, 19 December 1924, Page 6 THE SAILORS' REST. 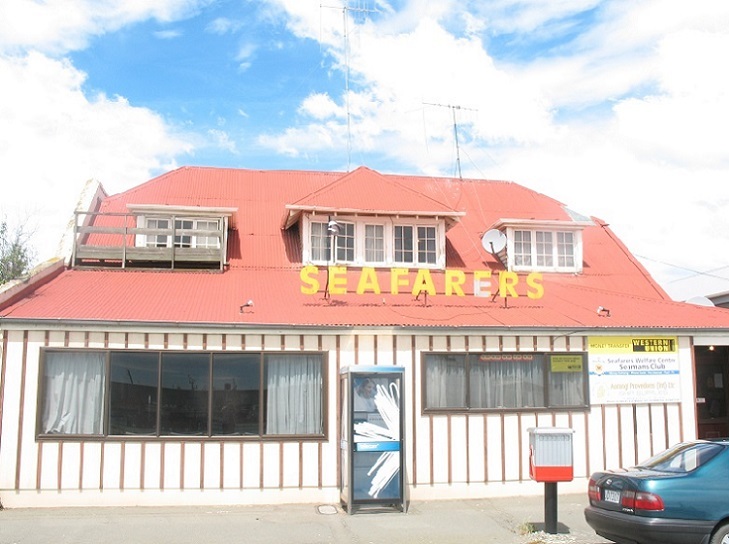 The South Canterbury Sailors' Rest, having for its object the entertainment and welfare of overseas and coastal sailors, came into existence about forty years ago, and under the management of an energetic committee of ladies, has done much exceedingly useful work. Last year it was felt that the old building had more than served its time, and as a result of a public meeting it was decided that the matter of erecting a new and up-to-date building should be put in hand. Messrs Walter Panton and Son, architects, generously gave their services to the committee, and the Harbour Board gave a site for the building, in addition to £100 in cash. The Borough Council also gave £100. The sum of £3000 was required, and the greater part of it was quickly raised by subscriptions. Early in 1924 the work of erecting the Hew building, on the site a little to the east of the Harbour Board office, and facing the main wharf, was commenced. The building consists of two storeys, on the ground floor being the seamen's quarters. The building was completed a few months later, and was officially opened by the then Governor-General, Admiral of the Fleet Viscount Jellicoe, on October 15th, 1921, in the presence of several thousand spectators. Mr P. J. Rolleston, M.P., speaking at the opening ceremony, remarked that it. was singularly appropriate that one of the last official acts performed by the Governor- General before his retirement should be the opening of an institution for the benefit of the sailors he loved so well. He hoped that the men who used the Sailors' Rest would remember with pride that it had been opened by the greatest sailor of modern times. He congratulated Mrs Norrie, president of the W.C.T.U., and the Sailors' Rest, Committee, on the success that had attended their efforts on behalf of the sailors. A handsome marble slab has been fixed on the front of the building, bearing the inscription: "Erected by public subscription, AD. 1924. Andrew Wilson, Chairman Building Committee; Margaret Norrie, President; Agnes A. Paterson, Treasurer; Marion Minifie, Secretary, W.C.T.U. ; Walter Panton and Son, Reg. Architects; Munro and Prosser, Builders." The committee also decided to affix an inscription plate stating that the Rest had been officially opened by Viscount Jellicoe. TO BUILDERS. TENDERS are invited up till NOON, THURSDAY, 26th February, for the ERECTION OP COOL STORES adjoining No. 1 Wharf, Timaru, for THE TIMARU HARBOUR BOARD. Alternate prices are required for the buildings in brick or in concrete. Plans and specifications may be seen at our offices. WALTER PANTON AND SON, Registered Architects. 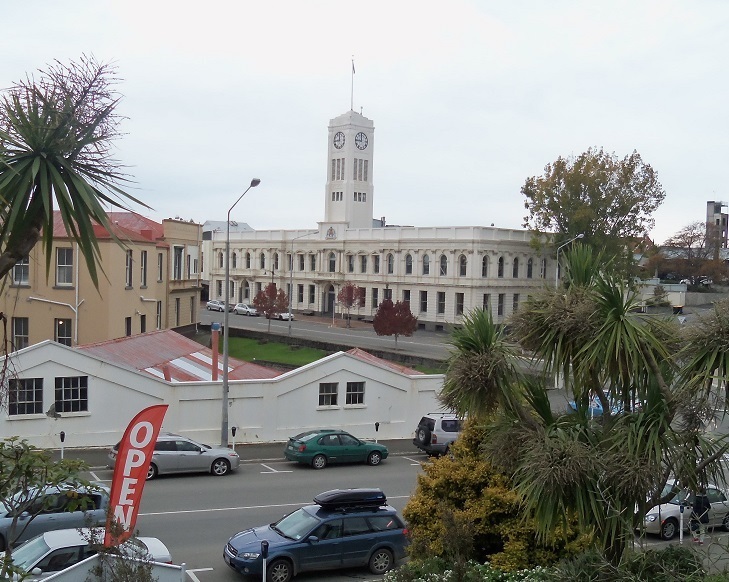 After being without an official town clock for about 12 months, in consequence of the demolition of the tower which formerly stood on the post office, Timaru now possesses a new tower erected on the municipal building.... The foundations go below the basement of the building and the tower is earthquake-resisting and fireproof. The architect for the work was Mr V. H. Panton, of Timaru, who won a competition for the design. The contractors were Messrs W. J. Harding and Co., the amount of the contract being £1557. Approximately another £200 was spent in the installation of the clock and bells, by Messrs Bolt and Sutherland, of Wellington. Panton and Son were the architects for the municipal building. The Waimataitai Jubilee Baths in White street were officially opened yesterday afternoon before a large crowd. The baths project had been inaugurated by the Former Pupils' Association as a memento of the school's 50 years of life. All had agreed that there could not be a better memorial of such a jubilee. In declaring the baths open, Mr G. Benstead, Deputy-Mayor, said that he was proud to realise an ambition he had had for 15 years. The baths and section had cost about £1050, and when the baths were handed to the council the property would be worth between £2000 and £2300. The cost to the council would be absolutely nil. Mr Fraser said a tribute to the work of the architects, Messrs V. H. Panton and F. Lewis, in drawing up plans and specifications. Taken in April 2014 from the museum hill. RITCHIE - PANTON. At "Strathlynn," Timaru, New Zealand, the home of the bride's parents, on December 16, 1907, by the Rev Robert Jackson, William John, fourth son of James Ritchie, Esq., Shannon Farm, Cromwell; Central Otago, to Alice McLure the eldest daughter of Walter Panton, architect. MANSON-PANTON.- On December 29, 1909, at "Strathlynn," Timaru, New Zealand, at the home of the bride's parents, by the Rev. A. Macauley Caldwell, of Chalmers Church, Timaru, John Edward Manson, oldest son of Mr George Manson, Glen Farm, Bannockburn, Central Otago, to Wilhelmina Victoria (Mina] Panton, youngest daughter of Mr Walter Panton, architect, Timaru, New Zealand. Mrs Manson, of Cromwell, is on a visit to her mother. Mrs Walter Panton, Le Cren street. Mr Walter Panton, who is a very old friend of Sir Joseph Ward, was the first to greet him on his arrival here yesterday, and Sir Joseph was evidently pleased to meet one of his staunchest friends of his early days in Southland, at Timaru. Mrs Walter Panton (South Canterbury) passed through Christchurch at the end of the week en route for Palmerston North and Marton. Sun, 15 January 1918, Page 7 THE SECOND DIVISION. Manson, John Edward, engine-driver, "Strathlynn," Le Cren St., Timaru. The death has occurred of Mr. Walter Panton, at the age of 83 years. He was a well-known architect, especially in connection with freezing works. The reserved judgment of Mr Justice Adams, in the case of Victor Howard Panton, Charles George Snow, of Timaru, tailor, and the Public Trustee versus Annie Gentle Panton, widow of the late Walter Panton, an action to prove a will, was read on Saturday by the Registrar of the Supreme Court at Timaru. In his judgment, his Honour said, that he was satisfied from the evidence that when the testator, the late Walter Panton, destroyed, the wills, including the will of May 25th, 1928, by burning them, the was under the impression that the destruction of these wills would revive the will of October 7th, 1927, which was in the custody of the Public Trustee, and that he so acted with the sole intention of reviving that will. The Court, concluded the judgment; pronounced in favour of the will of May 25th, 1928, and probate would be issued accordingly. The cost of all parties, as between solicitor and client, would be taxed by the Registrar and paid out of the estate. The Public Trustee advises that under the will of the late Walter Panton, who died at Timaru on March. 7th last, the following charitable gifts are provided for: £250 to Chalmers Presbyterian Church, Timaru; £250 to St. Paul's Presbyterian Church, Highfield, Timaru;—£250 to the Jubilee Institute for the Blind, Auckland. Upon trust out of the income of my residuary estate to pay to my said son Victor Howard Panton the sum of Five Pounds per week, to my daughter Alice McClure Ritchie the sum of Two pounds per week and to my daughter Wilhelmina Victoria Manson the sum of Two pounds per week. To permit my wife to have the free use and occupation and enjoyment of all property comprised in my residuary estate and the income arising there form she paying all rates taxes Insurance premiums and other outgoings usually payable out of income in connection therewith and keeping the same in good repair and condition to the satisfaction of my trustees provided that damage caused by fire storm earthquake or other inevitable accident shall be repaired out of the capital of my residuary estate. Walter McGill Panton, grandson of Walter, son of V.H. Panton. Was V.H. Paton a step-son? Victor H. Panton attended OBHS in 1901. A motor accident, which resulted in the driver of the car, Mr Victor Panton, and a passenger, Mr E. Matthews, of Dunedin, being more or less seriously injured, occurred at the corner of Selwyn street and Wai-iti road late on Thursday night. It appears that Mr Panton and his friend were returning homo from town about 11.30 o 'clock. Mr Panton's residence is in Selwyn street, and when turning into that, thoroughfare from Wai-iti road, the car headed for an electric light, standard which it struck head-on. The force of the impact must have been considerable, for the car was badly damaged and one of the electric light wires was brought down. Medical aid was secured and Mr Panton was taken to his home very much shaken and bruised. Mr Matthews, however, was more seriously injured, the muscles of his neck being badly cut by the glass of the windscreen of the car. His was taken to a private hospital, and may be considered fortunate in that he did not lose his life. Mr Panton attributes the accident to a defect in the steering gear. He says that the car failed to answer when he attempted to turn the corner, and he could not pull up in time to avoid the accident. Saturday A Timaru motorist. Victor Howard Panton, who appeared at the Temuka Police Court, was fined £l0 and his driving licence was cancelled until May 31 for being intoxicated in charge of a car at Orari. Born: 13 November 1877 Riverton, N.Z. Occupation: Cabinetmaker for James Ritchie, Cromwell. Killed in action in the Field, Belgium Jan. 9th 1918. Buttes New British Cemetery (NZ) Memorial, Polygon Wood, Zonnebeke, West-Vlaanderen, Belgium. This is one of seven memorials in France and Belgium to those New Zealand soldiers who died on the Western Front and whose graves are not known. The memorials are all in cemeteries chosen as appropriate to the fighting in which the men died. In his enlistment record in 1917 it reads father been in NZ for 25 years and mother in NZ for 35 years. P.J. a step-son? No sign of P.J. birth record. Commentated on the Chalmers Church Honour Roll and the Timaru Wall. I saw the bare and jagged branches reaching for Heaven. I smelled the stinking, hungry mud. I tasted the searing poison of gas. I heard the screech of shells, roaring explosions, cries of pain. I felt the sighs of a generation lost. A casualty list issued at noon to-day reported 34 men killed in action, 1 man missing believed killed, 4 men died of wounds, 1 man died cause unknown, 1 man wounded and missing, 1 man a prisoner of war, and 1 officer and 76 men wounded—a total of 119. Private P. J. ("Terry") Panton (killed) was the elder son of Mr Walter Panton, architect, of Timaru. Prior to his enlistment he was engaged in farming. He was a member of Chalmers Church, and when the Timaru Scottish Society was formed he became one of the first members, and was for some years one of the councillors of the Society. Deceased enlisted and was rejected for the Boer war, but was accepted for service in the present war. At the time of his death he was attached to the 1st Canterbury Infantry Battalion, Twenty-sixth Reinforcements.